O'Donnell Orthodontics is located within The Northbrook Clinic in Ranelagh, Dublin 6. It is accessible by the N11, Luas and Bus. Patients can avail of our orthodontic services at Cannon Row Dental Surgery, Navan and Pembroke Dental Centre, Carlow. A high percentage of teenagers request orthodontic treatment to achieve a confident smile and improved self image. It is never too late for adults to consider orthodontic treatment for an improved smile for personal or professional reasons. Modern dentistry recommends that children undergo an orthodontic assessment between the age of seven and nine for optimal results. In certain cases, these metal or ceramic braces are suitable for adults and teenagers who wish to have straight teeth within six months. Invisalign clear braces are the most aesthetically pleasing and least invasive appliance available in modern orthodontics. State-of-the-art orthodontic techniques create space where mild overcrowding exists and close gaps where teeth are overly spaced. Orthodontics is the specialised branch of dentistry that deals with the diagnosis and treatment of problems caused by poor alignment of the teeth and upper or lower jaws. 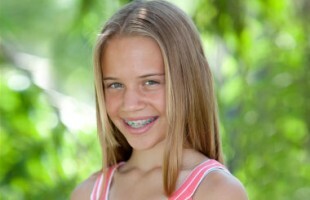 At O’Donnell Orthodontics, orthodontic treatment is carried out using metal braces, porcelain braces, six-month braces, invisible braces, interceptive devices and non-extraction techniques. As an orthodontic specialist, Dr O’Donnell is a fully qualified dentist who has completed an additional three years of specialised orthodontic training in the diagnosis, prevention and treatment of dental malocclusions and facial irregularities. Dr O’Donnell continually updates his skills as new techniques emerge to deliver the best possible results for his patients. This means that patients benefit from the application of the most modern and aesthetically pleasing techniques available in orthodontics today. Established in 1993, O'Donnell Orthodontics provides affordable, cutting-edge, specialist orthodontic treatment for children, teenagers and adults. Straight teeth in six months. Straighten teeth with invisible braces.